I’ve just taught myself how to crochet an i-cord! 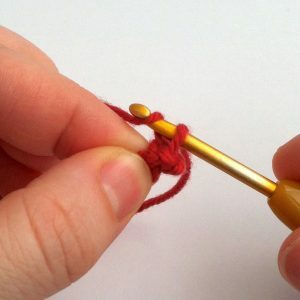 I may be a little late to the party, I know this technique has done the rounds, but as I was looking for help online, I didn’t find exactly the information I wanted, so I thought it might be helpful to set out my version of how to make a crochet i-cord here. In particular, nowhere could I find instructions on how to finish an i-cord in a tube (rather than a point) which was what I particularly wanted to do – so scroll down if you want to know too! 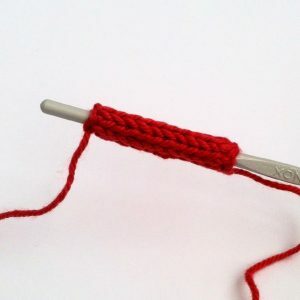 An i-cord is a narrow tube or cord that can be made with a crochet hook, knitting needles or other methods including French knitting (using a knitting nancy), a lucet or even just with your fingers/arms! 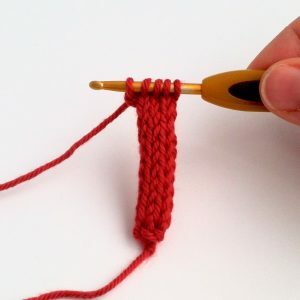 If you want to make a narrow tube in crochet – say for a bag handle, drawstring or the arms on a doll – the traditional method is to make a chain of the desired circumference of the tube, slip stitch to join it into a ring and then dc (US: sc) around and around in a spiral. 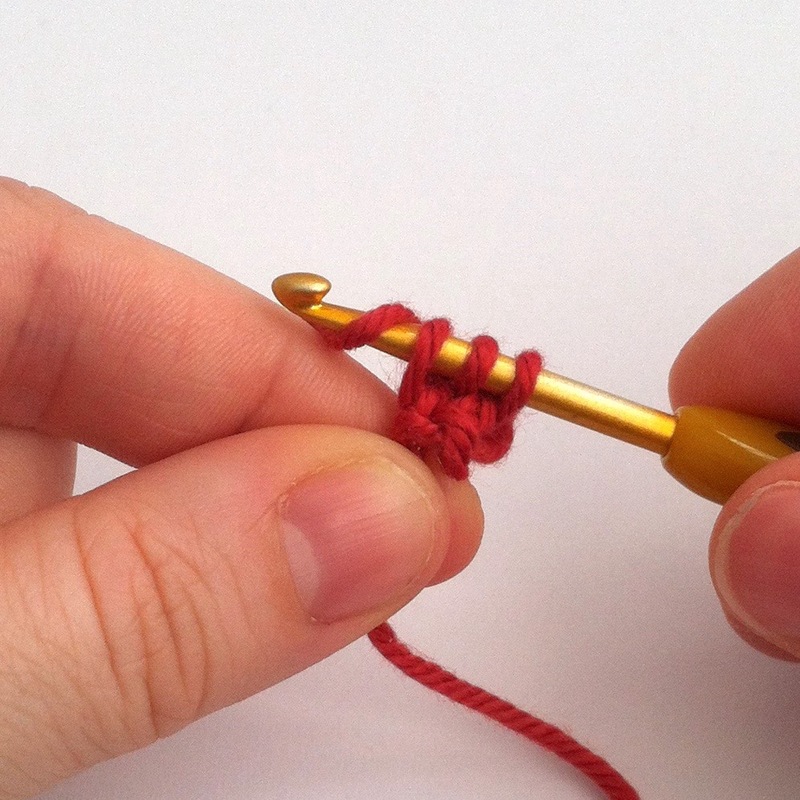 This is fiddly! it also make a rather lumpy sort of surface. The i-cord method, makes a much smoother tube, that looks more like a knit stitch in fact. 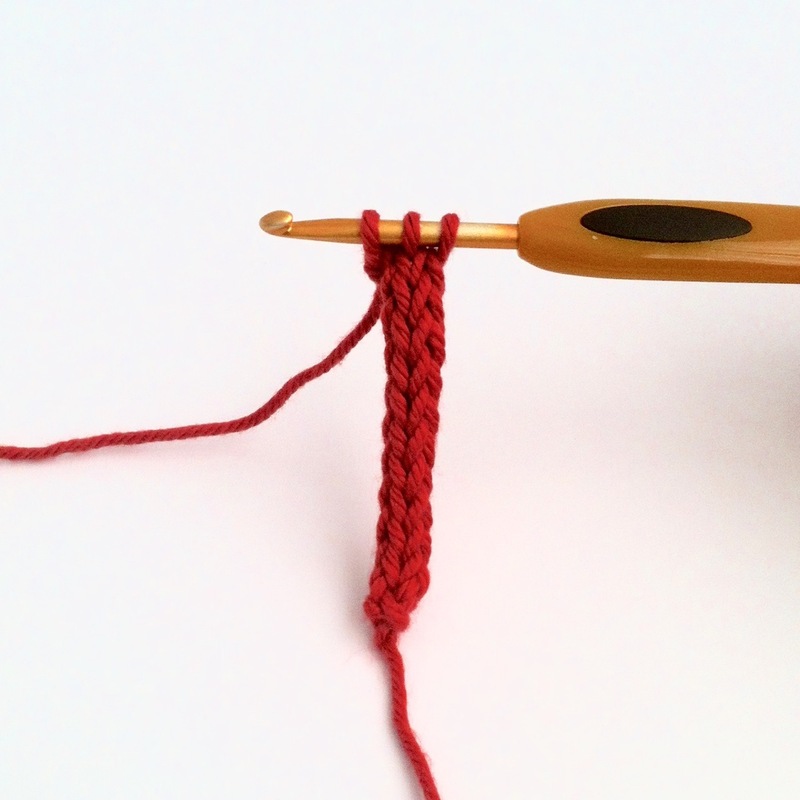 The method is still a bit fiddly, but less so, and after some practice you get into a rhythm. 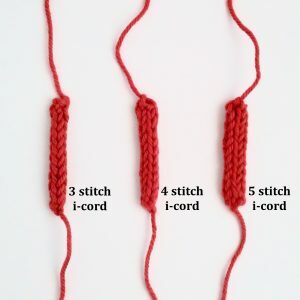 Below is a tutorial on exactly how to make an i-cord based on 3 stitches. 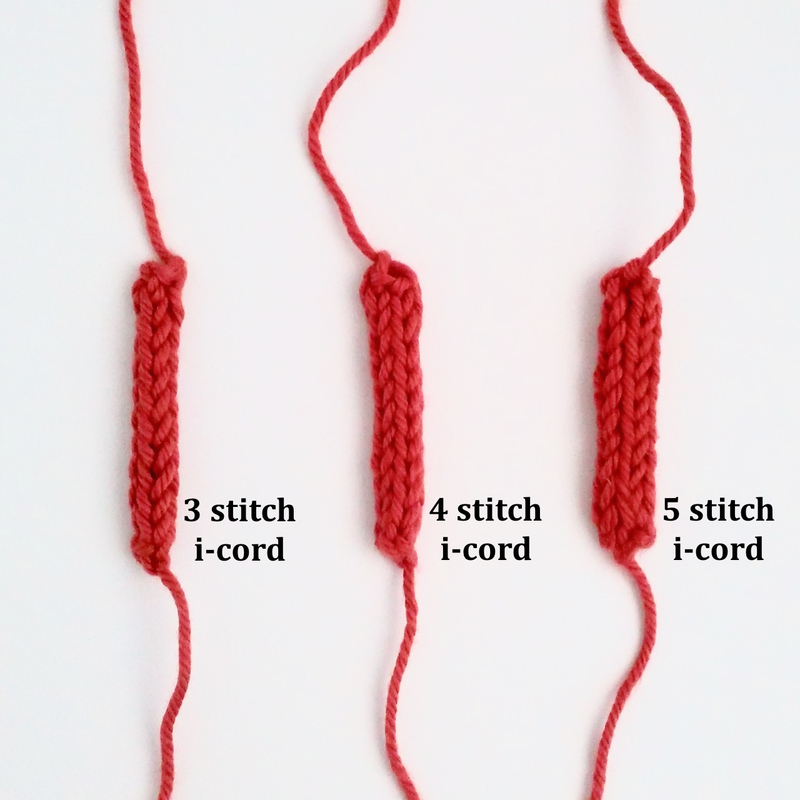 Like all my patterns, you will also find below a succinct text-only version of the i-cord instructions, for different sizes of i-cord. Click on any photo to enlarge it. 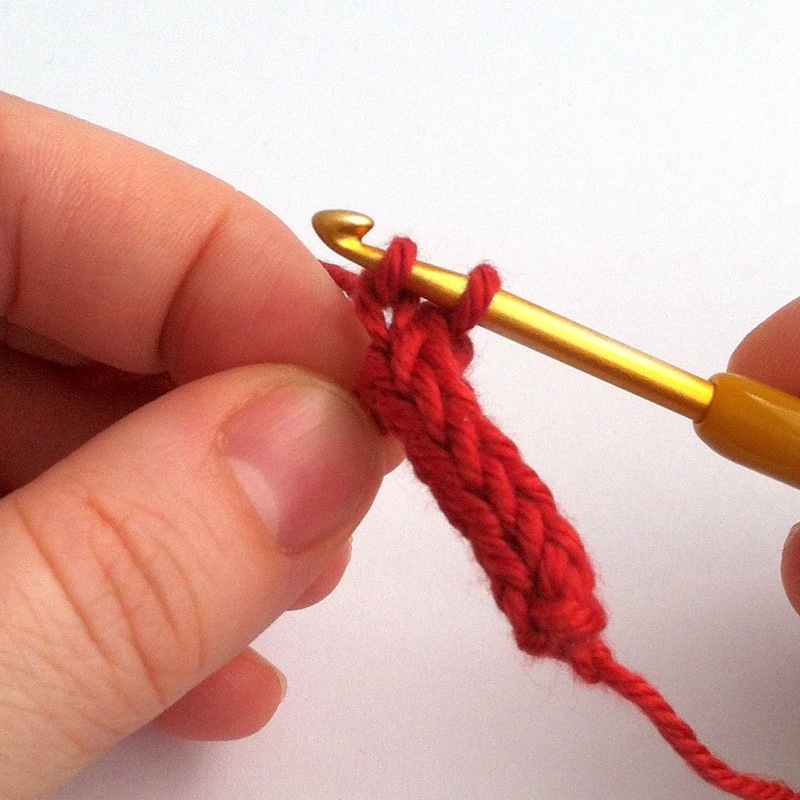 Now you are set up to start crocheting your i-cord. You will continue by repeating the same row (Row 1) for however many times you like. Below I have shown how this row looks the first time you work it (on the left), and how it looks when it is worked further up an i-cord (on the right) – but it is exactly the same. 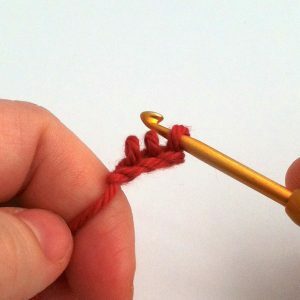 Drop the last two loops from the hook. Hold on to the dropped loops with your non-hook hand so they don’t come undone. Draw yarn through the one loop on the hook. 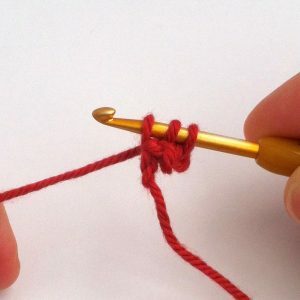 Release the next nearest dropped loop, but keep hold of the other one. 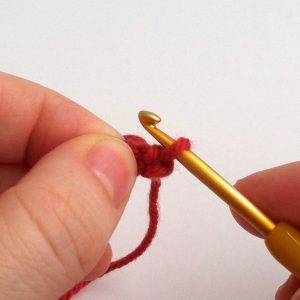 Re-insert the hook into the dropped loop. 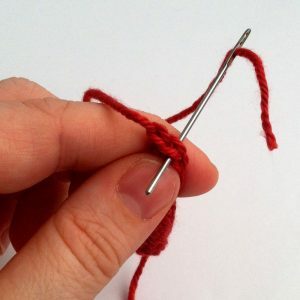 Release the next (last) dropped loop. 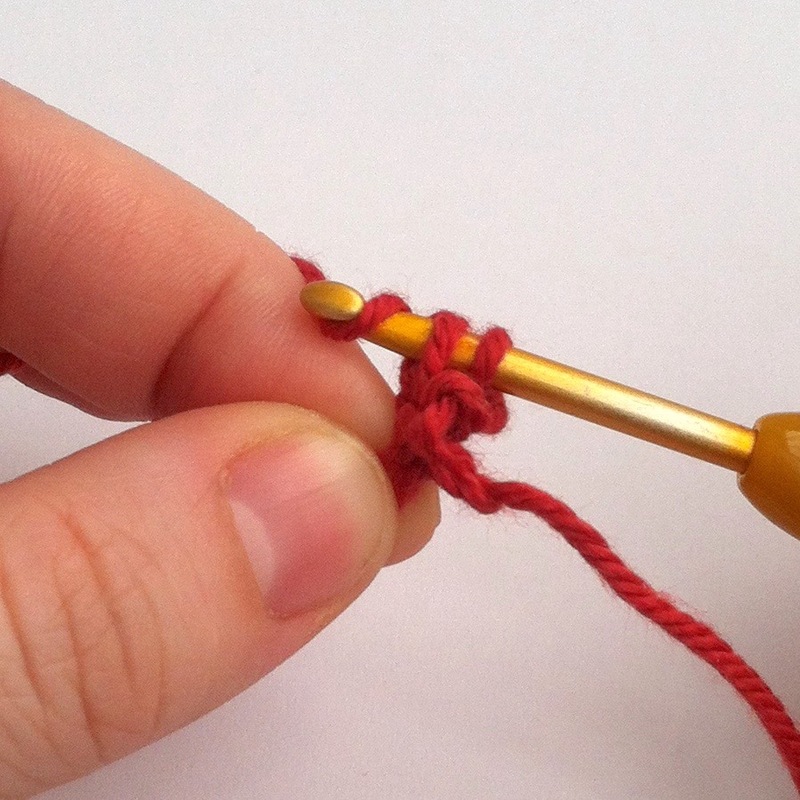 Draw yarn through the picked-up loop only —3 loops on hook. 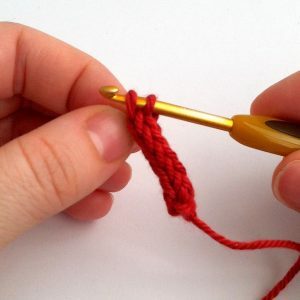 You will end every row with three loops on the hook, and the working yarn coming from the back of the stitch nearest the tip of the hook. Repeat Row 1 the number of times specified in your pattern or for the desired length of i-cord. Stick with it! When you get to your fourth or fifth row, you will probably think ‘this doesn’t look right’. 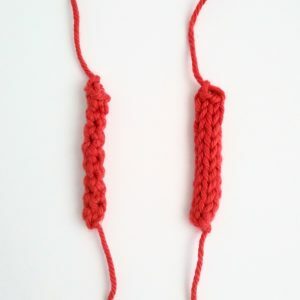 You will probably think the back looks totally different to the front, and it’s not making a nice even cord. 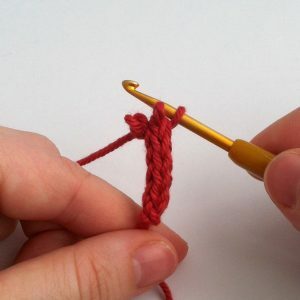 But stick with it, and when you’ve done about ten rows, roll the cord a little between your fingers and you will find, rather miraculously, the cord evens itself out into a nice round shape. 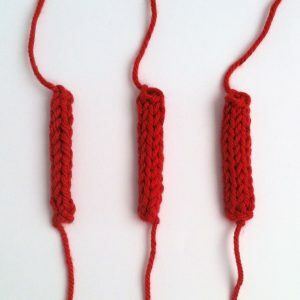 Once you know how, you can quite easily count the rows in an i-cord, by counting the ‘v’s up the front of your i-cord, as shown below (click to enlarge the picture). 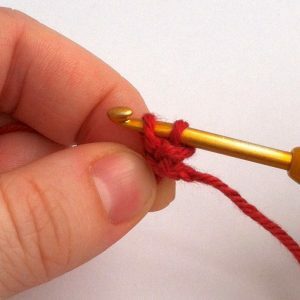 Now for the part I couldn’t find explained anywhere! 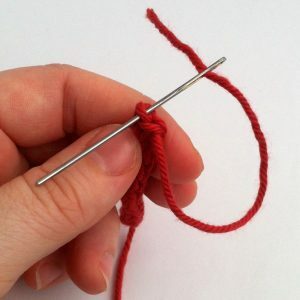 All the tutorials I have seen say that when you’ve got to the desired length, you just cut your yarn and pull the yarn tail through all the stitches on your hook. 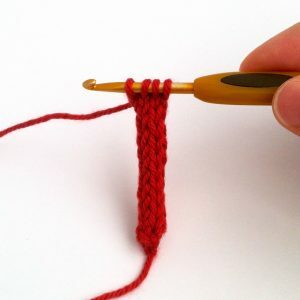 This results in a pointy-shaped end where the stitches have been drawn together. 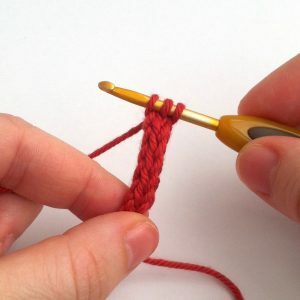 Depending on the use you have in mind for your i-cord, this may be okay, particularly on a narrower i-cord of 2 or 3 stitches. But I wanted to find a way to finish off an i-cord maintaining the tube of stitches that has been formed, and I think this is particularly important for larger tubes of 4, 5 or more stitches. 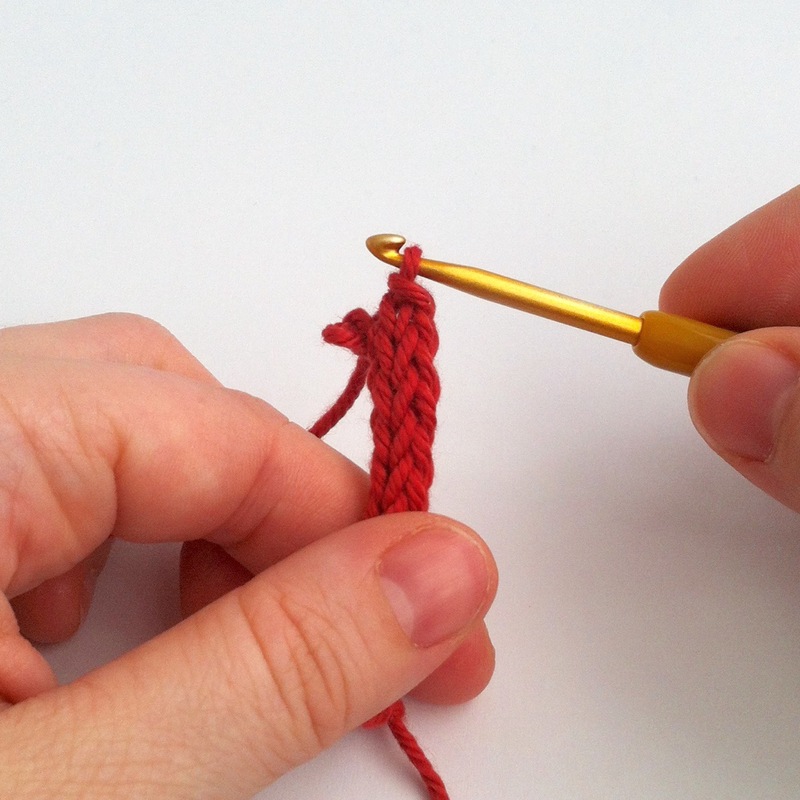 So here’s how to finish an i-cord in a tube, with photos for a 3-stitch i-cord as above. Written instructions for other sizes are provided below. 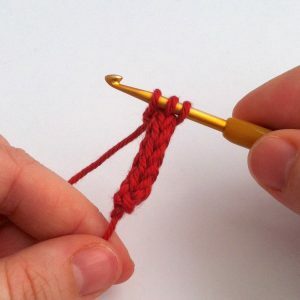 All three loops are on the hook, as you have finished a repeat of Row 1. Re-insert the hook into the next (last) dropped loop. 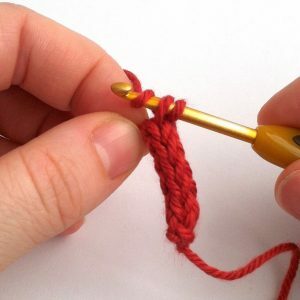 Cut the yarn and pull the tail through the working loop. Thread the tail on to a yarn needle. Take the yarn tail under the top of the first stitch in the Finishing Row (under both loops of the ‘horseshoe shape). 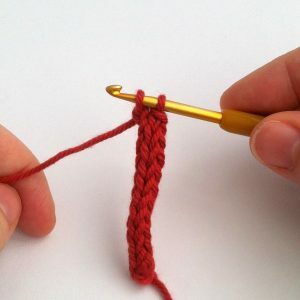 Now take the yarn tail back down between the two loops of the top of the last stitch of the Finishing Row, where the tail emerged from. 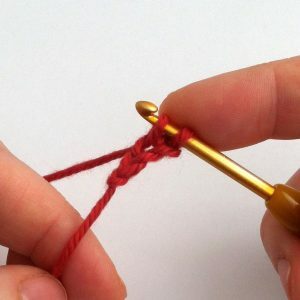 When you draw this up, you will form another ‘horseshoe’ that will make the top of the third stitch of the 3-stitch tube. 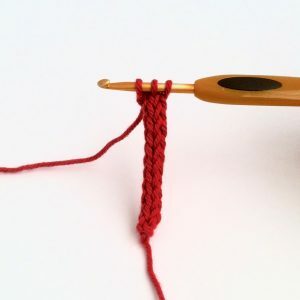 To be honest, it’s not all that clear on a 3-stitch i-cord, but the finished end is definitely blunter than the pull-the-tail-through-all-the-loops method. 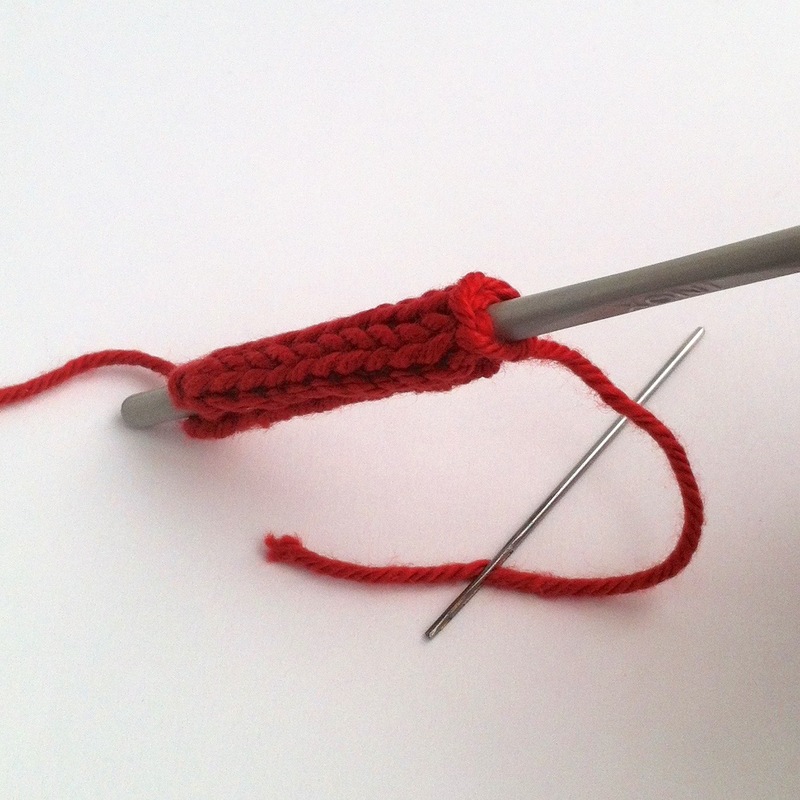 And now you have a finished 3-stitch i-cord that is an even tube all the way a long. Here you can see I have slid a crochet hook into it. 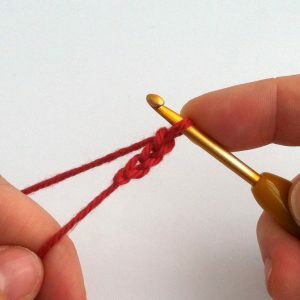 Set-up row: Insert hook into second ch from hook, YRH and pull up a loop. 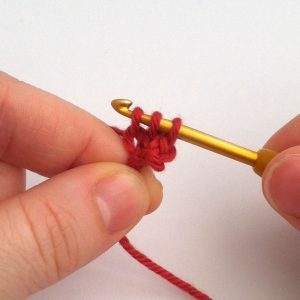 Insert hook into next (last) ch, YRH and pull up a loop —3 loops on hook. 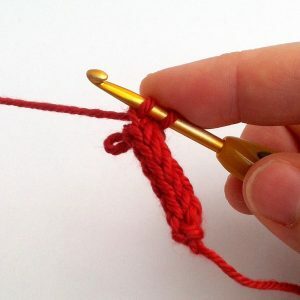 Row 1: Drop the last two loops from the hook. 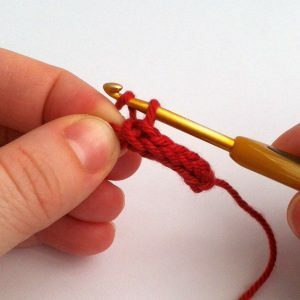 YRH and draw through the remaining loop on the hook —1 loop on hook. 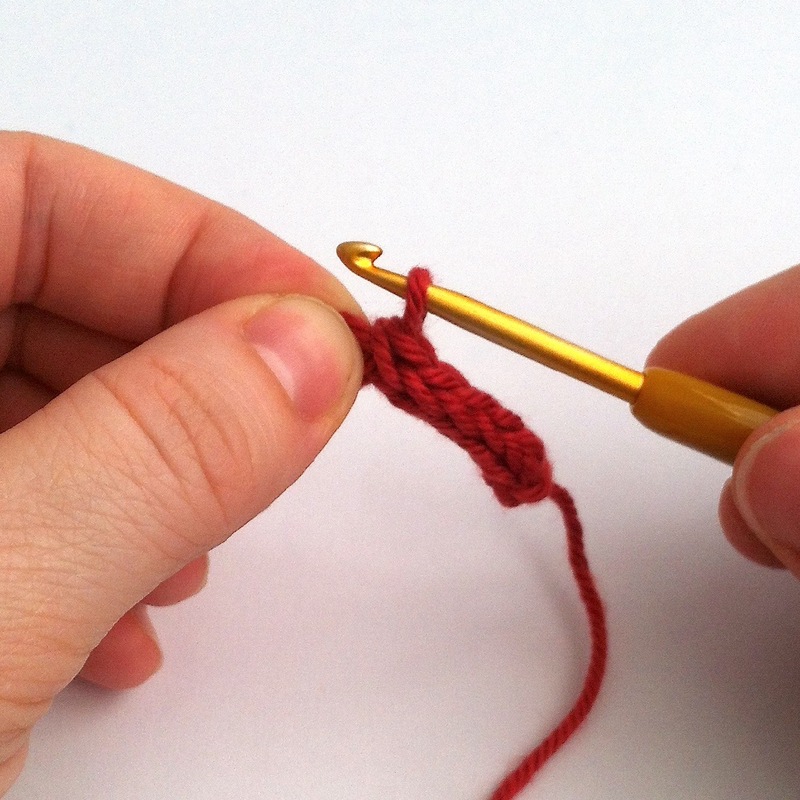 Re-insert hook into the nearest dropped loop, YRH and draw through the picked-up loop only —2 loops on hook. 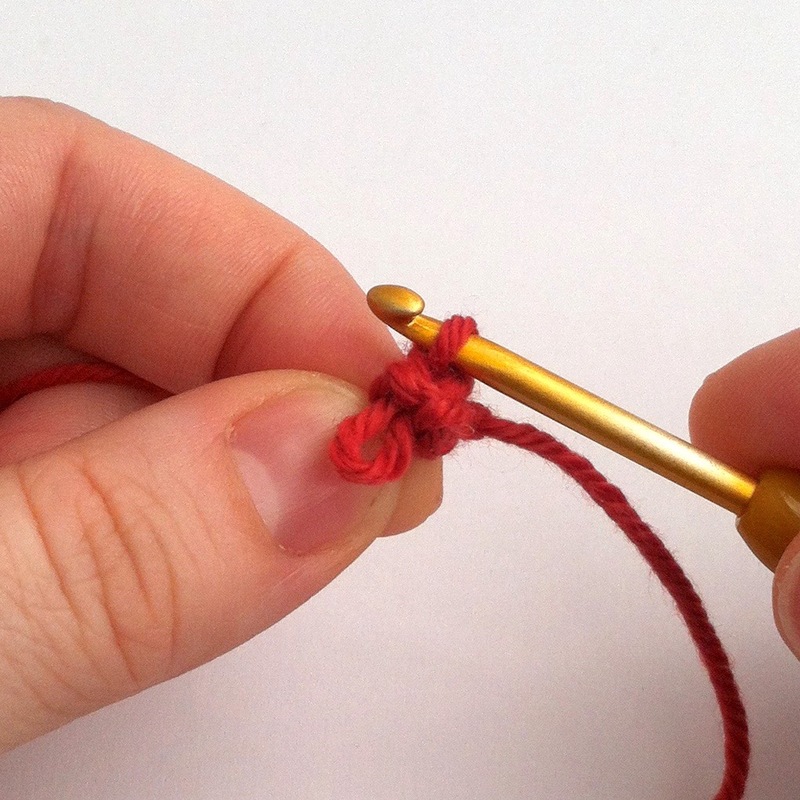 Re-insert hook into the remaining dropped loop, YRH and draw through the last picked-up loop only —3 loops on hook. Repeat Row 1 the required number of times. Finishing Row: Drop the last stitch from the hook. Pull the left-hand stitch through the right-hand stitch on the hook —1 loop on hook. Cut the working yarn and pull the tail through the working loop. Thread the tail on to a yarn needle. 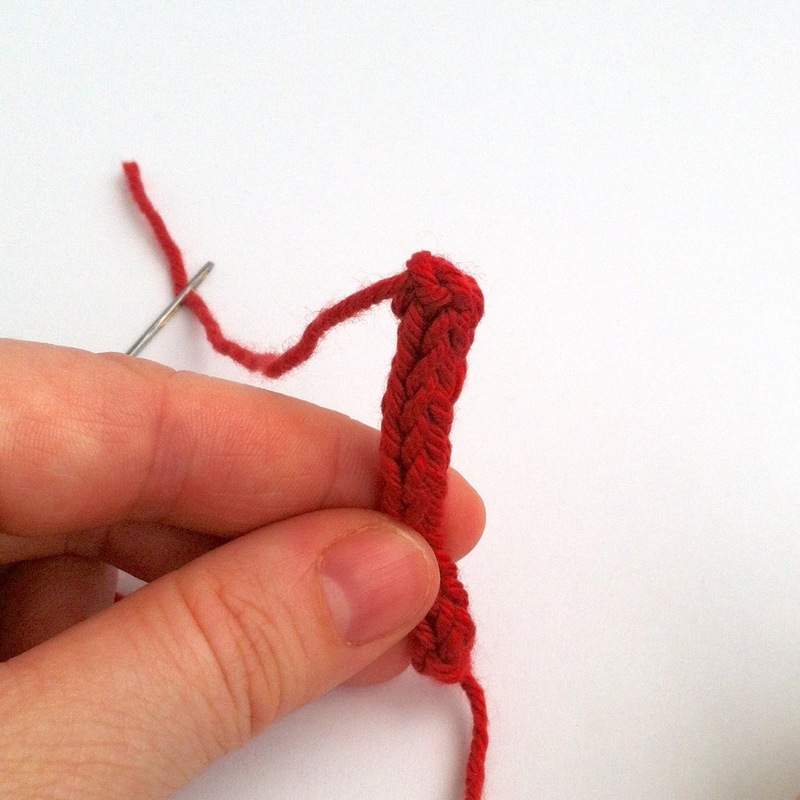 Take the yarn tail under the top of the first stitch in the Finishing Row (under both loops of the ‘horseshoe shape). 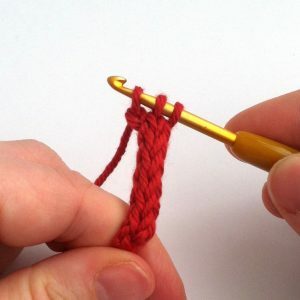 Now take the yarn tail back down between the two loops of the top of the last stitch of the Finishing Row, where the tail emerged from. 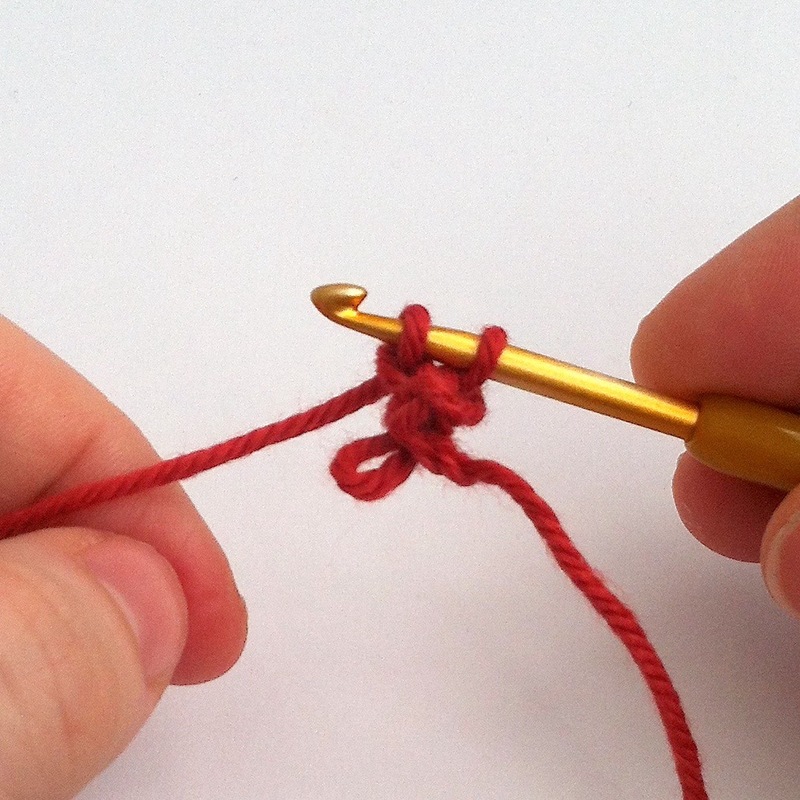 Draw this up to form another ‘horseshoe’ that will make the top of the third stitch of the 3-stitch tube. 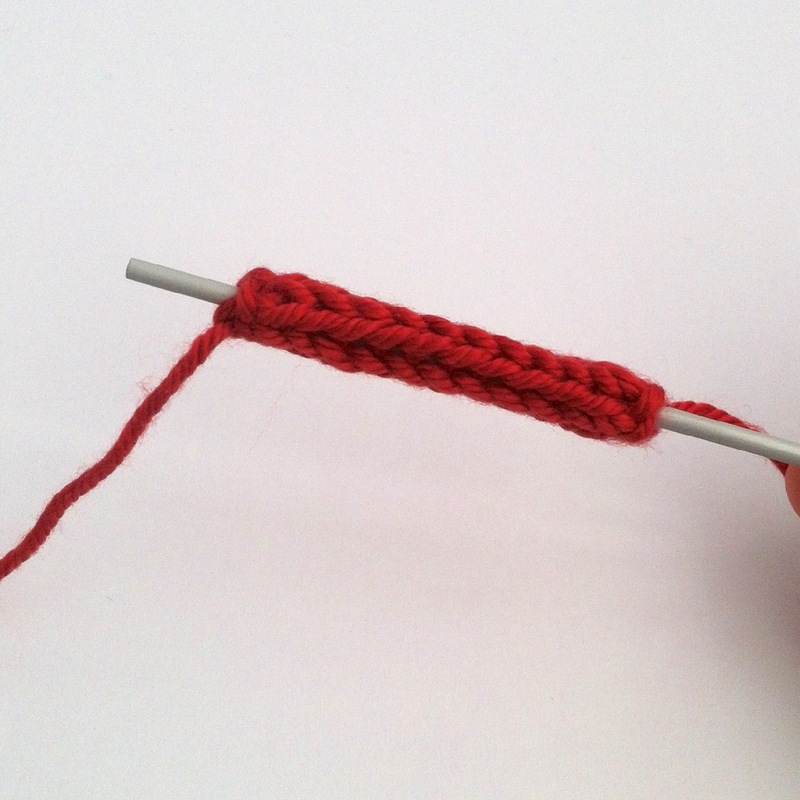 Set-up row: Insert hook into second ch from hook, YRH and pull up a loop. 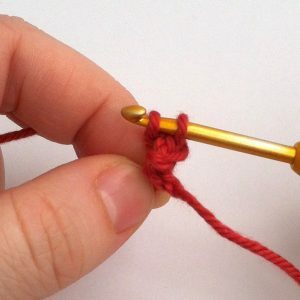 Insert hook into next ch, YRH and pull up a loop. Insert hook into next (last) ch, YRH and pull up a loop —4 loops on hook. 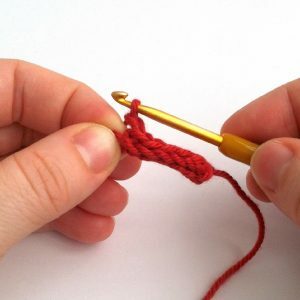 Row 1: Drop the last three loops from the hook. 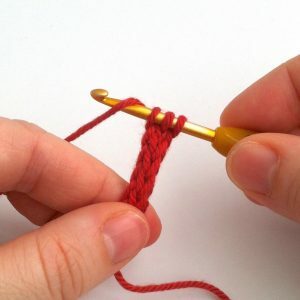 Re-insert hook into the nearest dropped loop, YRH and draw through the picked-up loop only —3 loops on hook. Re-insert hook into the remaining dropped loop, YRH and draw through the last picked-up loop only —4 loops on hook. Finishing Row: Drop the last two stitches from the hook. 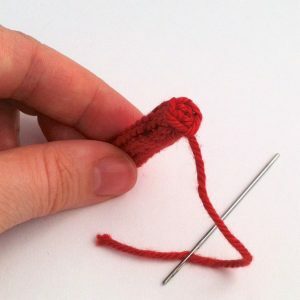 Re-insert the hook into the next dropped loop. Take the yarn tail under the top of the first stitch in the Finishing Row (under both loops of the ‘horseshoe shape). Now take the yarn tail back down between the two loops of the top of the last stitch of the Finishing Row, where the tail emerged from. 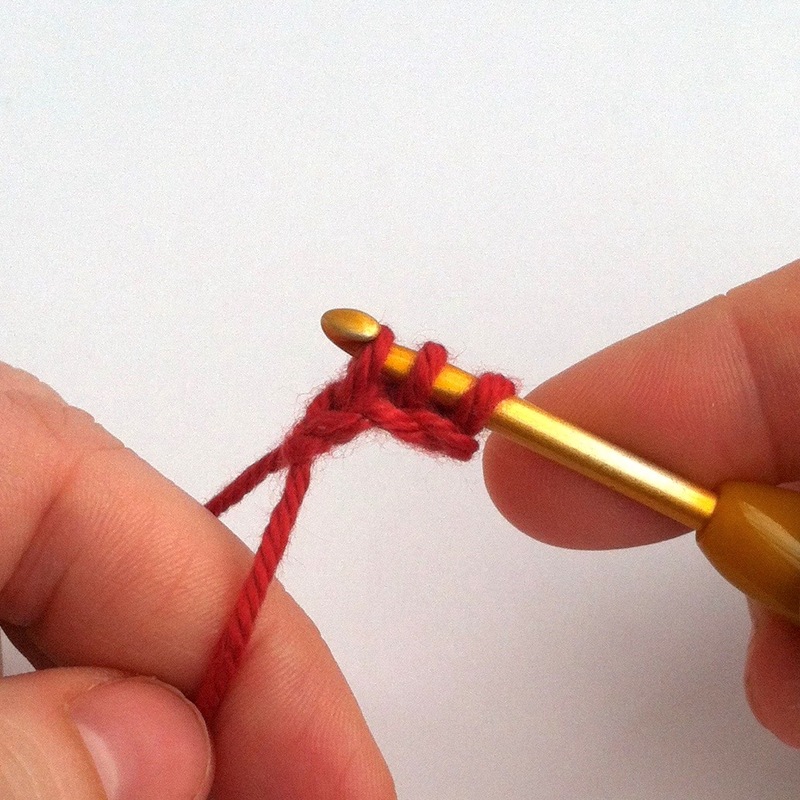 Draw this up to form another ‘horseshoe’ that will make the top of the fourth stitch of the 4-stitch tube. Set-up row: Insert hook into second ch from hook, YRH and pull up a loop. Insert hook into next ch, YRH and pull up a loop. 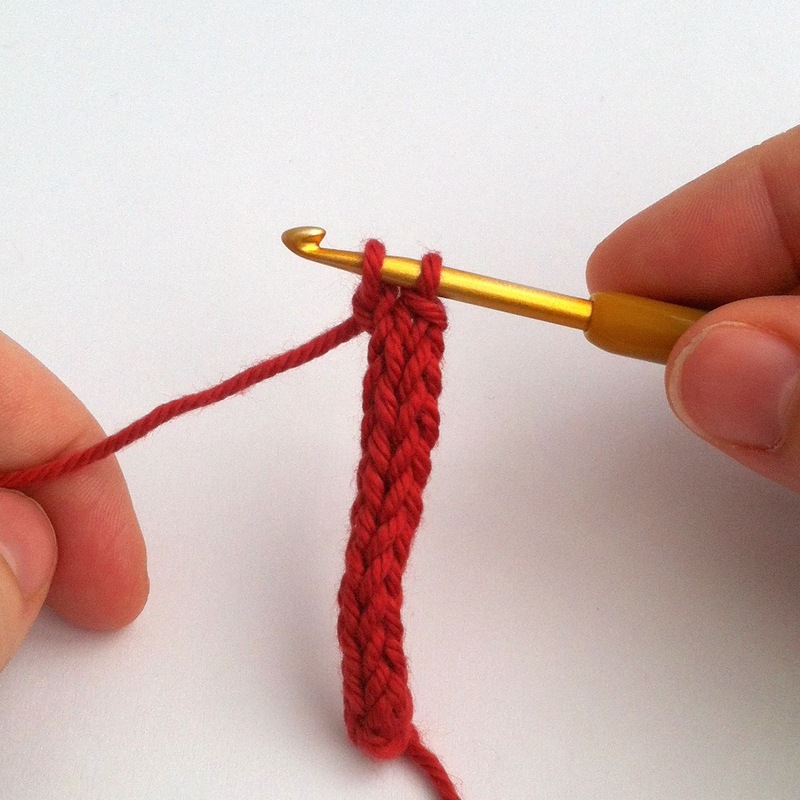 Insert hook into next (last) ch, YRH and pull up a loop —4 loops on hook. 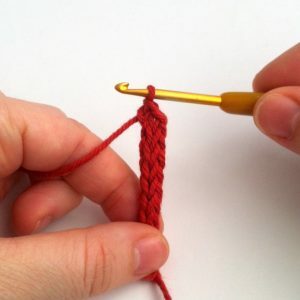 Row 1: Drop the last four loops from the hook. 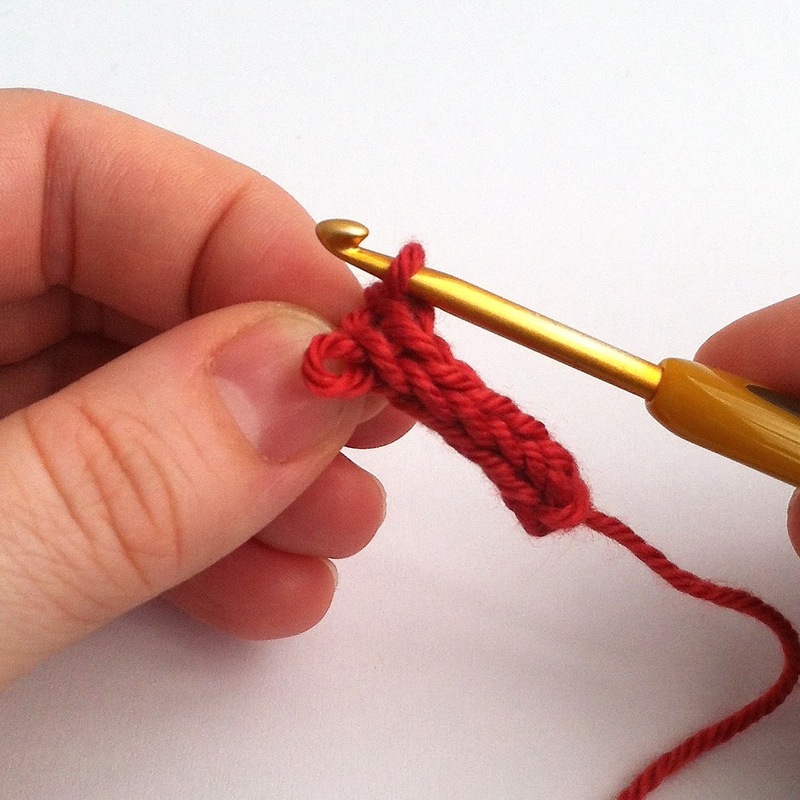 Re-insert hook into the nearest dropped loop, YRH and draw through the picked-up loop only —4 loops on hook. 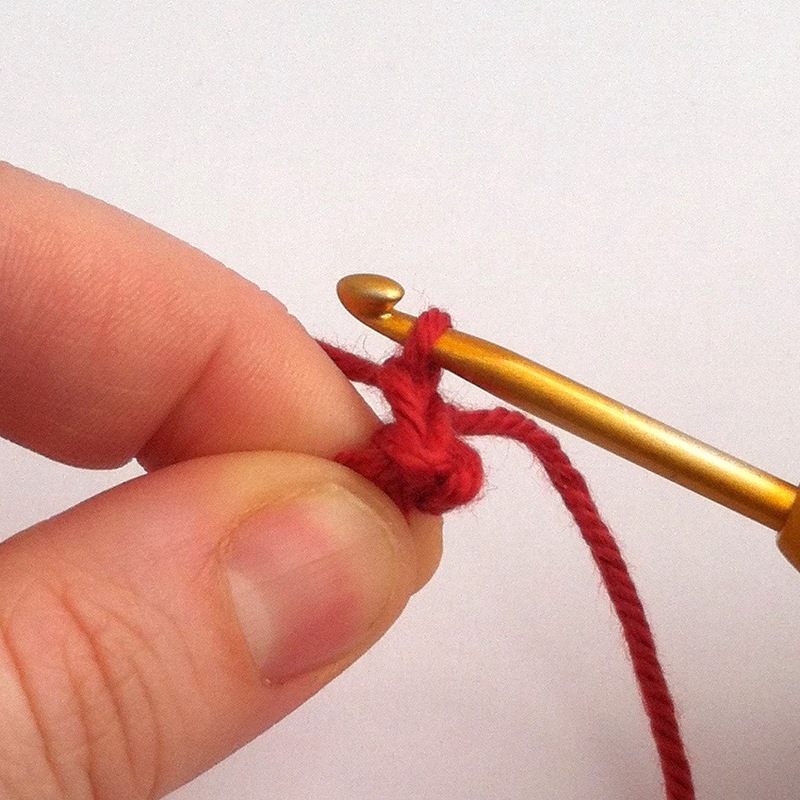 Re-insert hook into the remaining dropped loop, YRH and draw through the last picked-up loop only —5 loops on hook. Finishing Row: Drop the last three stitches from the hook. Repeat three times: [Pull the left-hand stitch through the right-hand stitch on the hook —1 loop on hook. 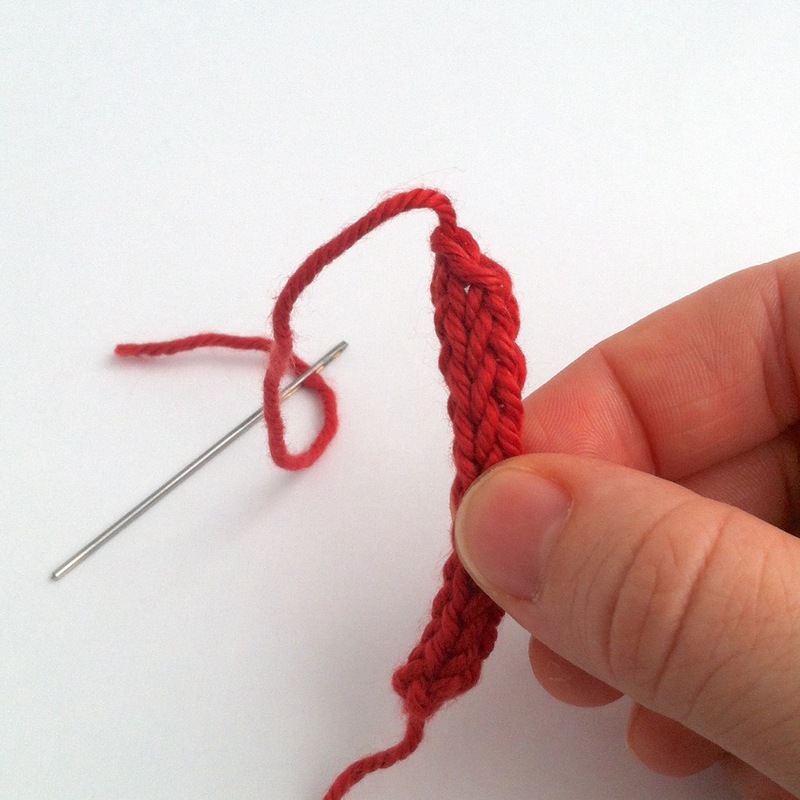 Take the yarn tail under the top of the first stitch in the Finishing Row (under both loops of the ‘horseshoe shape). 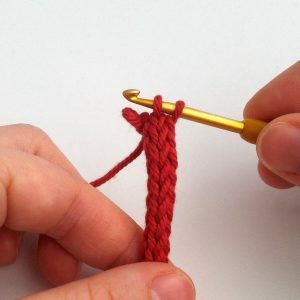 Now take the yarn tail back down between the two loops of the top of the last stitch of the Finishing Row, where the tail emerged from. Draw this up to form another ‘horseshoe’ that will make the top of the fifth stitch of the 5-stitch tube. 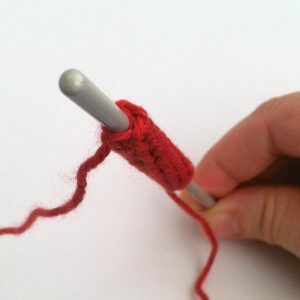 This epic, photo-heavy tutorial has almost been the death of me, so I fervently hope it is of use to someone out there!